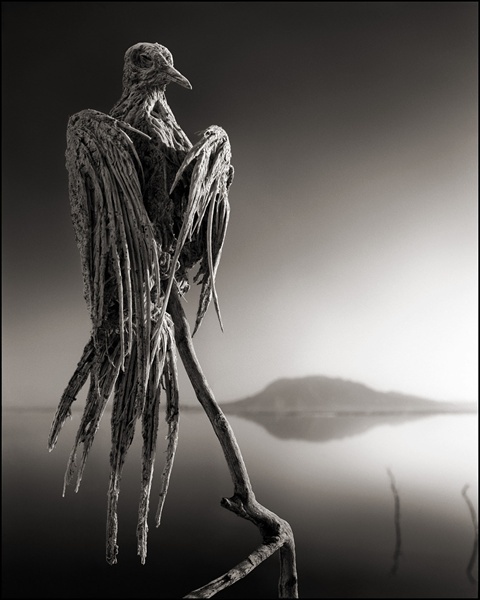 I am both horrified and awed by photographer Nick Brandt's images of birds calcified by the overwhelmingly alkaline waters of Lake Natron in Tanzania. 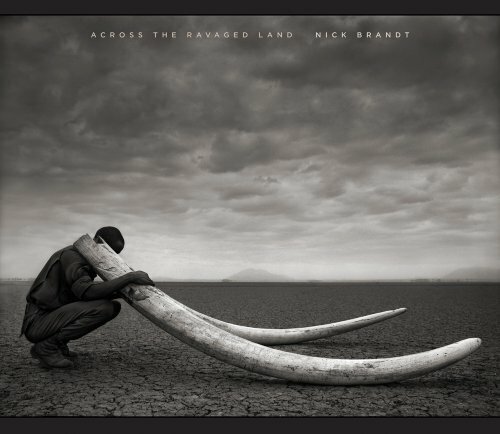 Brandt writes in his new photo/essay book, Across The Ravaged Land. 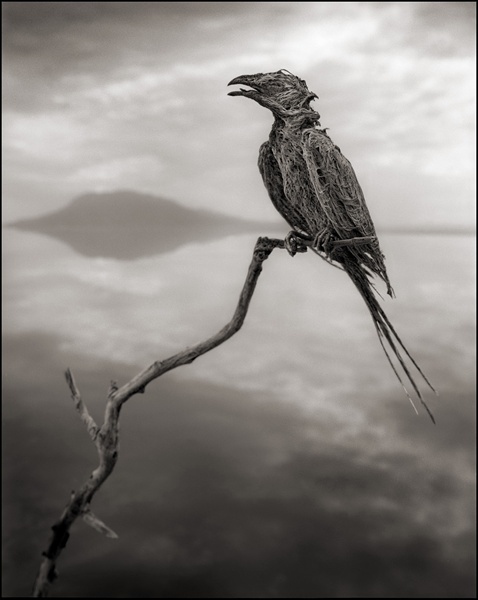 "I unexpectedly found the creatures — all manner of birds and bats — washed up along the shoreline of Lake Natron in Northern Tanzania. 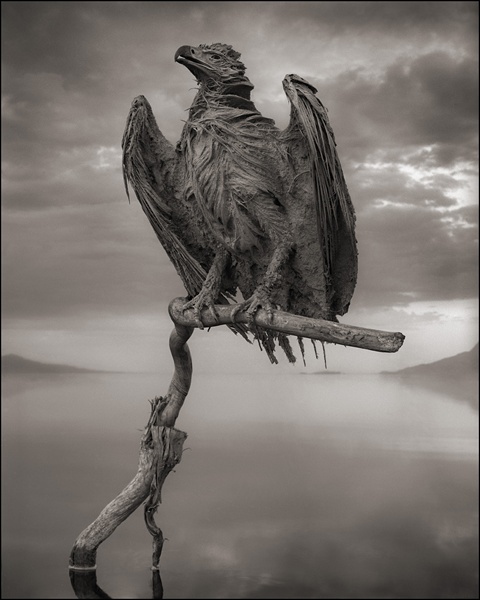 No one knows for certain exactly how they die, but it appears that the extreme reflective nature of the lake’s surface confuses them, and like birds crashing into plate glass windows, they crash into the lake. "The water has an extremely high soda and salt content, so high that it would strip the ink off my Kodak film boxes within a few seconds. The soda and salt causes the creatures to calcify, perfectly preserved, as they dry." To add to the effect, he posed the animals as if they were frozen in life.